Completely landlocked Gauteng may be the smallest of all the provinces, but it delivers a hefty punch of vibrant city life in the form of its dominant city, Johannesburg – the country’s economic powerhouse – and its quieter country cousin, the jacaranda-lined streets of the administrative capital of South Africa, Pretoria Accommodation. 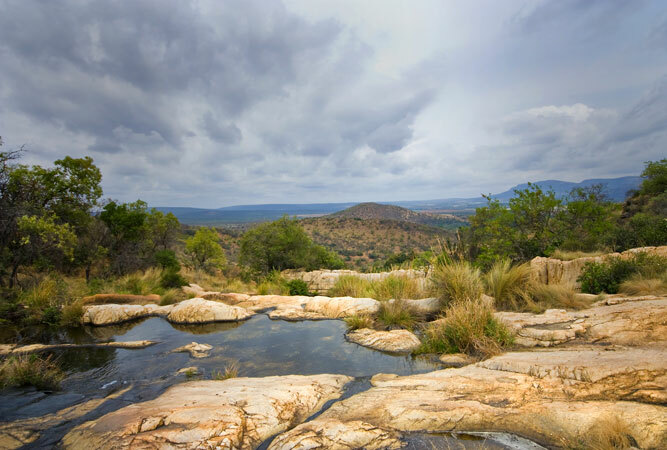 The ‘place of gold’ in the north-east of the country may not have any sea or major river about which to boast, but it is uniquely placed for easy weekend escapes into North West, Limpopo and the Free State provinces. And although small, it has at its heart enough of its own natural attractions to keep visitors content to remain within its borders. Fifty kilometres outside of Johannesburg, the Cradle of Humankind is one of South Africa’s eight World Heritage Sites and the world’s richest hominid site. The series of dolomitic caves, contained in the 47 000 hectare reserve, have produced 40% of the world’s fossils of our human ancestors over the last fifty years. Some regard it as a more important paleontological site than Tanzania’s Oluvai Gorge. Of the caves in the Cradle of Humankind reserve the Sterkfontein caves are the most prominent, thought to have housed human ancestors up to 3.5 million years ago. Kromdraai Wonder Cave is as popular for its unusual stalactites, stalagmites and rimstone pools. Where else in the country can you see Big Five wildlife whilst in the midst of an eroded crater, one of the largest volcanic complexes of its kind in the world? The 550 sq km park lies on the buffer zone between the Lowveld and the Kalahari, a haven for lions, buffaloes and daytrippers. Get there early to see the animals (dawn is best) and to beat the crowds, although do not let these put you off – the reserve is well worth the effort for the chance to see big game as well as hippo, hyena, giraffe and zebra. 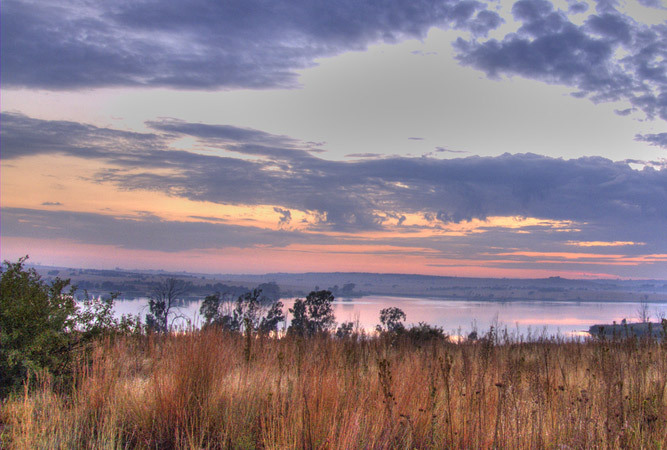 Some describe Rietvlei as a close-to-home preview of the Kruger National Park. Certainly the self drives through the grasses and wooded savannah satisfy any cravings for the bush. The reserve that lies on the highway between Pretoria and OR Tambo International Airport may not boast the Big Five, but its major grasslands make herd spotting easy, and the inclusion of hippos and cheetah adds an element of excitement. Urban-bush experiences do not come much better than this. These very popular gardens rest on what was once the edge of Johannesburg. On offer is 300 hectares of botanical escape, a respectable waterfall known as Witpoortjie, plenty of green lawn for lazy weekend picnics and summer concerts, and a couple of nesting Verreaux’s eagles in the cliff side that draw avid birders by the dozen. Over 600 species of plants form a backdrop for various hiking trails, whilst the rockery and cycad garden are worth exploring in their own right. There is also a nursery, gift and bookshop, and restaurant. The Braamfontein Spruit (a tributary of the Jukskei River) is the longest stream in Johannesburg, starting in Greymont in Roodepoort it begins covered as a canal but later runs out again near the Parkview Golf course before entering parkland and running through the northern suburbs all the way to Sunninghill where it merges with the Sandspruit. Known locally as ‘Braamies’ it became known as a ‘park’ in its own right during the late 1970s when there was a huge campaign to clean it up and create a thoroughfare along its banks. Today it is arguably the most popular MTB route in the city, particularly over weekends. For this reason the Spruit is a lot safer than it used to be. However, always ride or walk in groups of two or more, particularly during the quieter times. Melville’s nature reserve on the south side of Johannesburg preserves all that remains of Johannesburg’s ridges as they were before gold was discovered in the area in 1886. 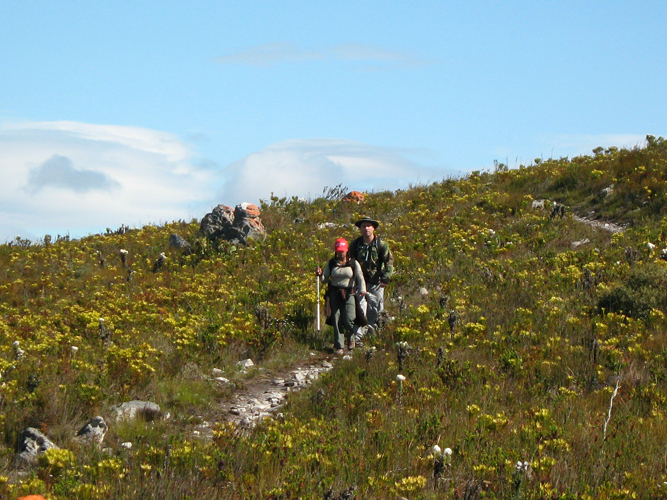 The 150 hectares of wild, rocky koppies is a treasure trove of indigenous plants, wild flowers during spring, and highveld grasses during winter. The views from up on the hill are spectacular. The central area is open only occasionally to the public, check the website for details of guided hikes. It is inadvisable to walk the other areas of the koppies alone. Dinokeng Game Reserve, just outside Pretoria, markets itself as the only free-roaming Big Five game reserve in Gauteng – and probably in the world – so close to an urban area. A relatively new reserve, it opened in 2011 and launched its DGR Wilderness Way Self-Drive in late 2014. Not until you turn off the main roads does the reserve begin to feel less like a park and more like a reserve. Despite this the game sighting means it is well worth a visit. 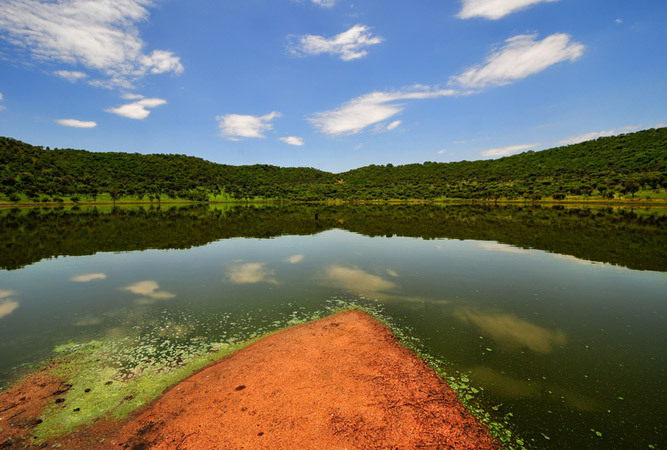 Moreleta Kloof Nature Reserve lies in the foothills of the Moreleta Kloof in Pretoria’s eastern suburbs. 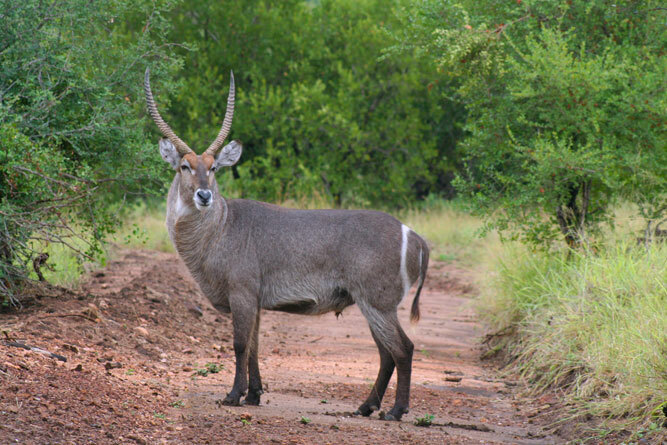 Perfect for a short hike and the chance to get lost in nature without having to go very far, Moreleta Kloof offers 100 protected hectares that is home to a prolific bird life, various antelope, ostrich and zebra. Run by volunteers the reserve does not charge an entrance fee. The restaurant is well rated by visitors. 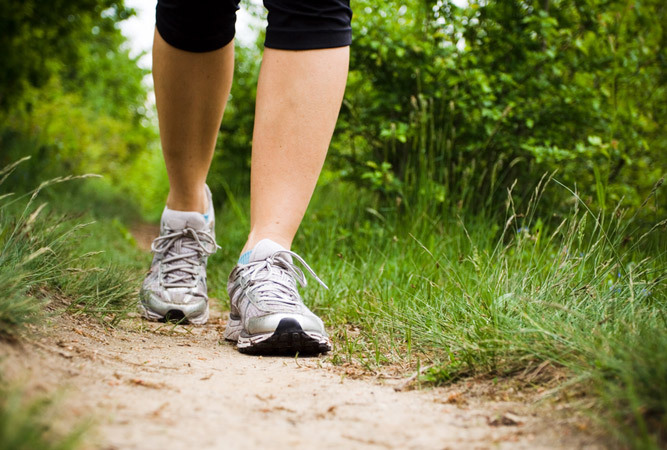 Both dense cities Pretoria and Johannesburg, nonetheless, both benefit from green spaces that offer hiking and the chance to get out of doors. Johannesburg’s Kloofendal, Delta Park and Klipriviersberg Nature Reserve, particularly the latter, offer wonderful paths and trails. And Groenkloof, Wonderboom and Faerie Glen nature reserves in Pretoria make getting into nature a pleasure. Just 40 km north-west of Pretoria is an impact crater – an astrobleme to give its scientific name – that is 1.13 km in diameter, 100 metres deep and one of the most accessible craters in the world. Hiking across this unique geology, provided you follow the proper trail (7 km), is without doubt a highlight of any visit. But go outside of summer as it can get unbearably hot,although the electric blue of the lake in high summer is worth it (take mozzie repellent).